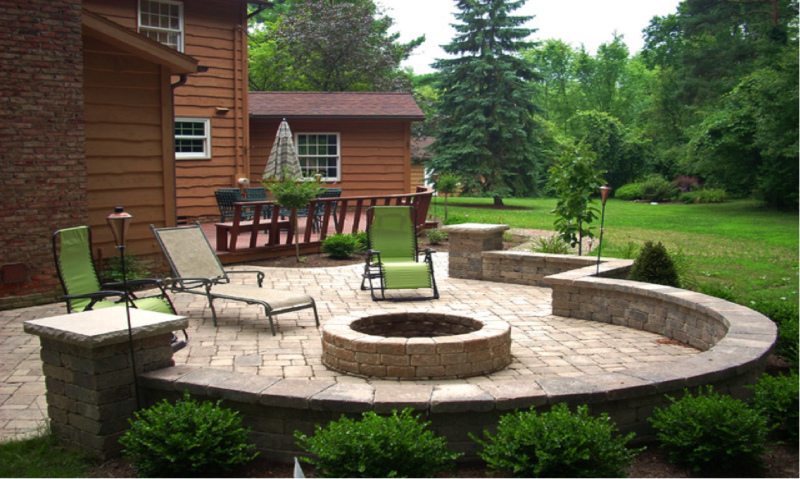 Are you planning to install an outdoor patio to match the landscape at Calgary? Then you should consider adding one which has adequate space to organize parties, backyard barbeques and family gatherings etc. It is actually a home improvement project which enhances the value of your property. Now let us discuss some of the four major steps to consider while installing a courtyard at Calgary. First, you need to ascertain the needs and requirements of your family members. For example, how often they would take advantage of the courtyard? Are they planning to entertain their guests and friends? Do they prefer to cook and dine outdoors? Do they wish to unwind and relax in order to escape from the clutches of their routine activities etc.? There are numerous factors to be considered such as size of the location and the budget. The courtyard should provide easy access to your house, swimming pool, terrace, hot tub and spa and bathroom. It needs to be constructed in such a way that it enable the guests to access the courtyard easily. You may consider installing one which is helpful during transportation of food items as well as drinks. It should also offer a better coverage against rain especially while entertaining guests. One of the major things to be considered is to select a comfortable seating arrangement while dining and lounging. It is suggested to pick outdoor furniture which can be easily shifted or transported from one location to another. The purchased ones should be easy to clean and maintain well throughout the year. Before installing one, you need to ensure that it is placed adjacent to the kitchen which enables the guest to clean-up the dishes and left over with ease. Those who would prefer to take a nice sun bath may choose an area which has direct exposure to sunlight. On the other hand, there are few people who may wish to have a cat nap in a hammock. In such cases, it is advisable to select a shady location or by installing either a roof or awning. Finally, the most important factor to be taken into consideration is budget required to install one. It is purely based on size of location and additional features like outdoor fireplace, outdoor kitchen etc. How to install paver courtyard with the help of paving stones. A paver courtyard is capable of withstanding heavy traffic and it needs only little maintenance. The average time taken to complete the construction of a paver courtyard is about a week. The total quantity of paving stones and sands is based upon the overall size of the area. For example, an area which is about sixty square feet might require thirty 12*12-inch quantity of paving stones. During installation of a courtyard, do not forget to take into consideration, the above-mentioned tips.